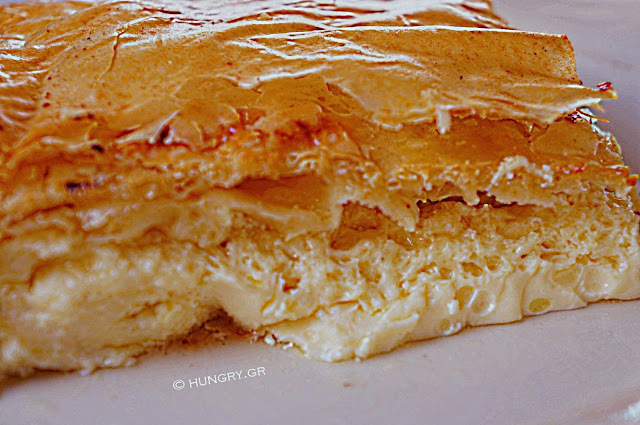 Certainly not recommended as a diet dish, but it is certain that the taste will compensate any guilt created. 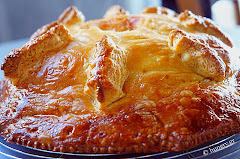 Recommended for our large family tables, where gathered numerous friends and relatives, so just like we often do, and there will surely appreciated. 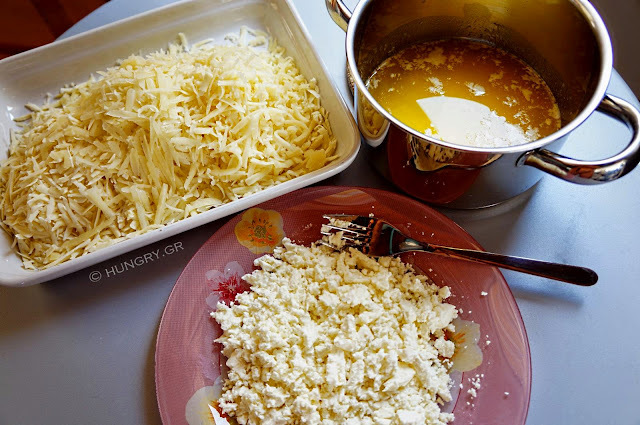 Grate all the cheese on coarse grater and crumble the feta cheese with a fork. 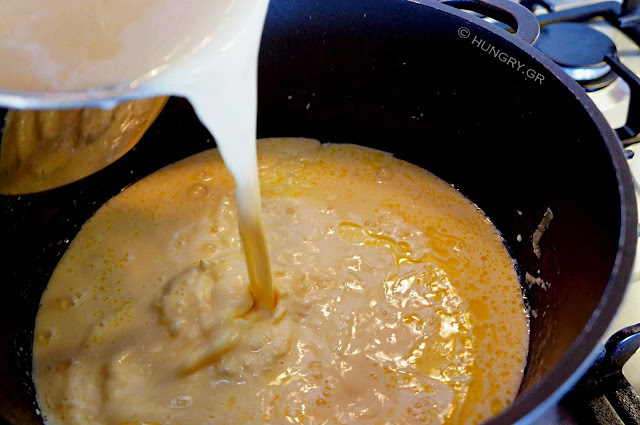 At the same time, heat the butter in a small saucepan to melt without boiling. 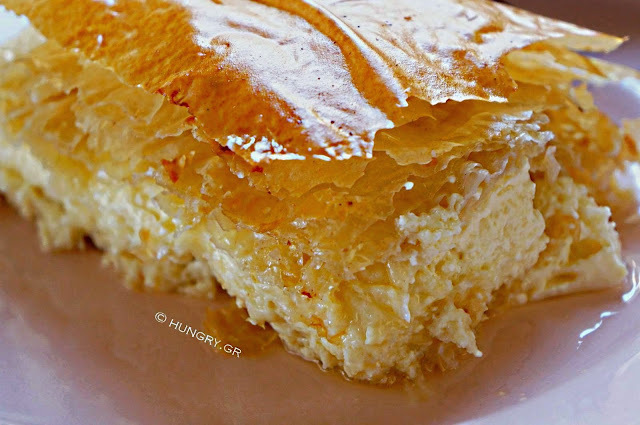 You will need it for greasing the phyllo. 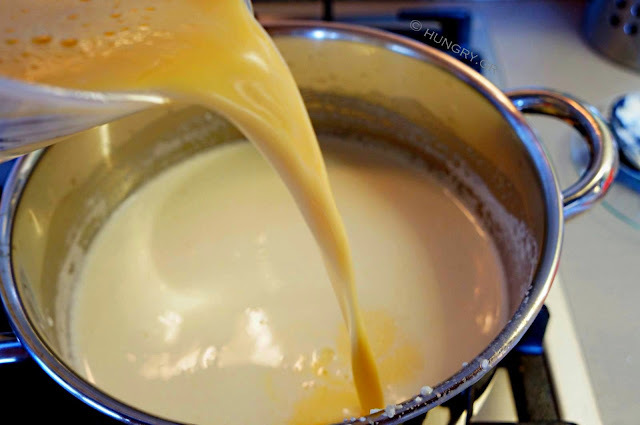 First heat in small saucepan, the milk without boiling and pour semolina like rain. 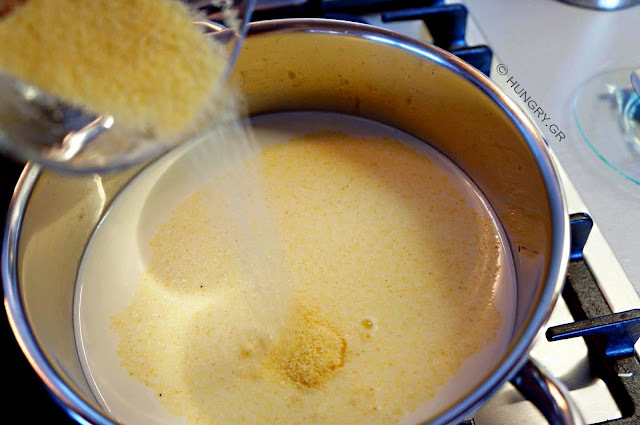 Mix well and leave aside for the mixture to become lukewarm. 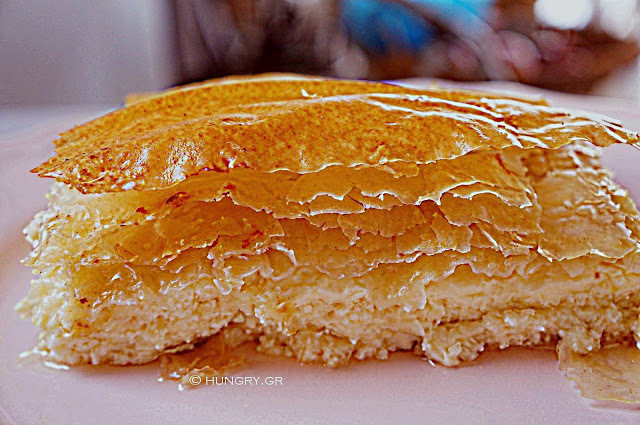 … until homogeneous and become a mixture. Stir occasionally. 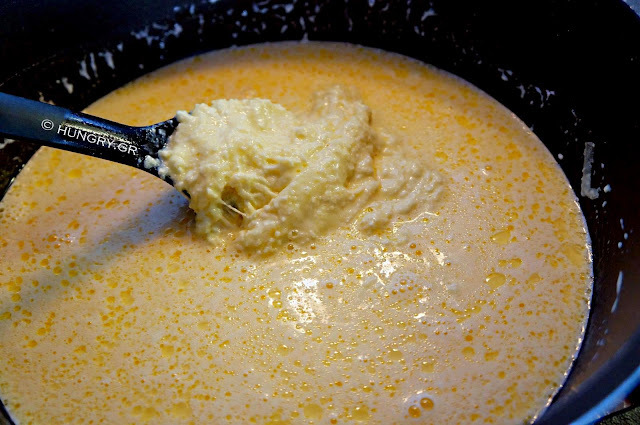 Beat with wire, the eggs and add a little warm milk to balance the temperatures of ingredients. 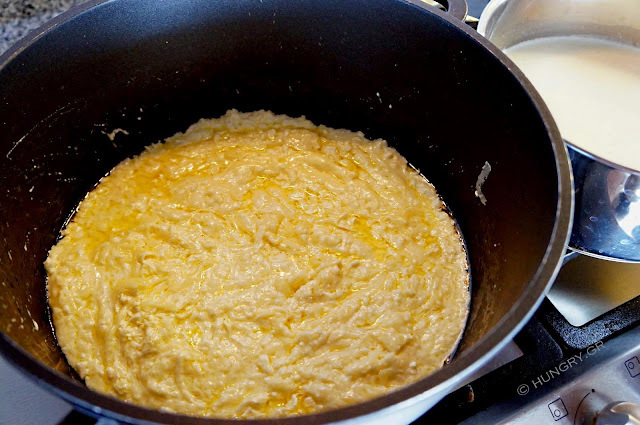 Pour the beaten eggs back in the saucepan with the milk mixture / semolina. 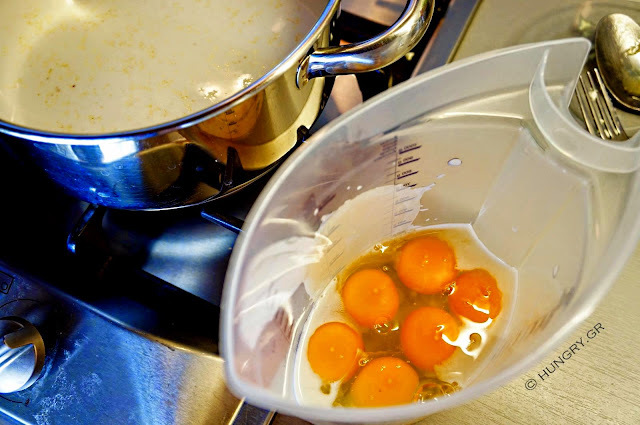 Mix thoroughly to homogenized the mixtures. 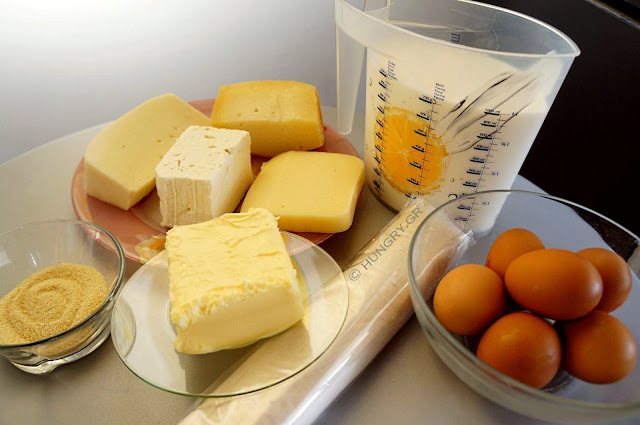 Pour mixture of eggs/ milk/ semolina into the pot with melted cheese. 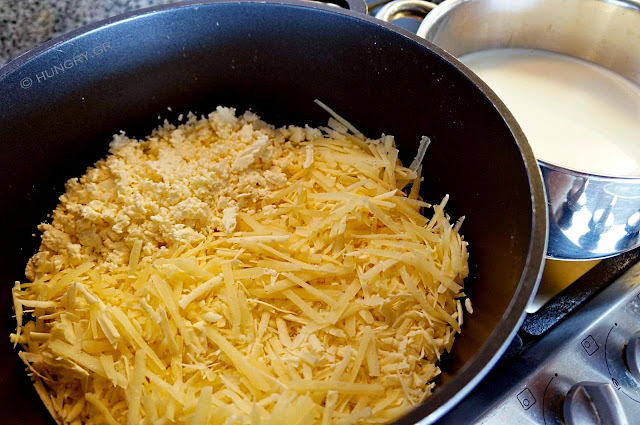 Stir well until the cheeses melt, unite with the milk and have a thick, cheesy cream, a little watery. Leave aside to drop a little the temperature. 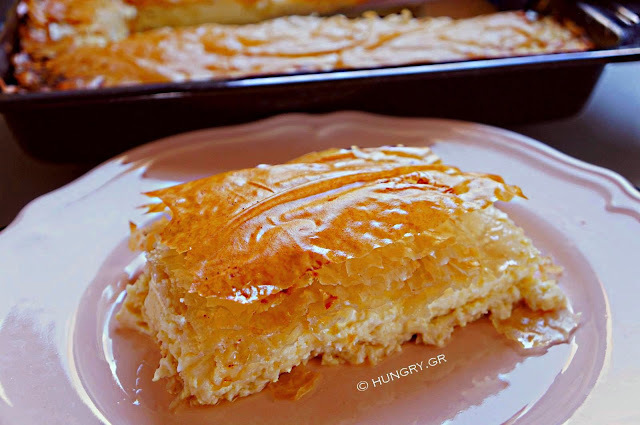 … and carefully cover with the remaining phyllo, sprinkling them with a little butter. 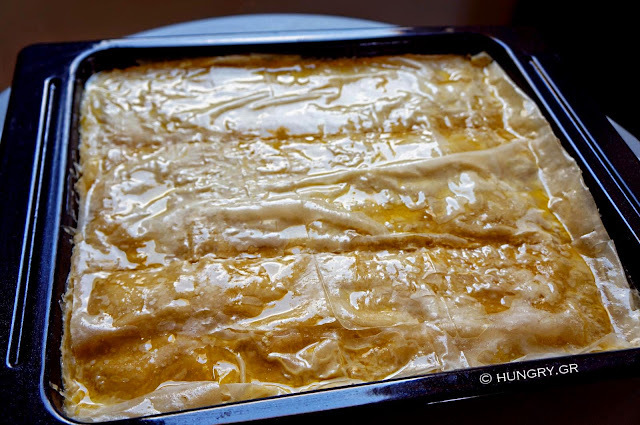 Turn what surplus or cut with scissors and push the layered phyllo, with the blade of a knife inside the sidewalls of the pan. 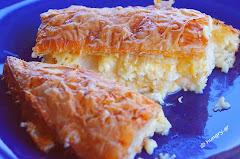 Scribe the surface in large pieces and butter the last phyllo. 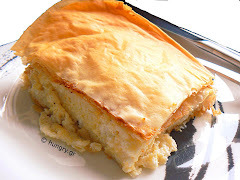 Bake in the last rack in preheated convection oven at 180°C (356°F, Gas:4.2) until the cheese pie rises and golden brown on top and bottom for 45'-50'. 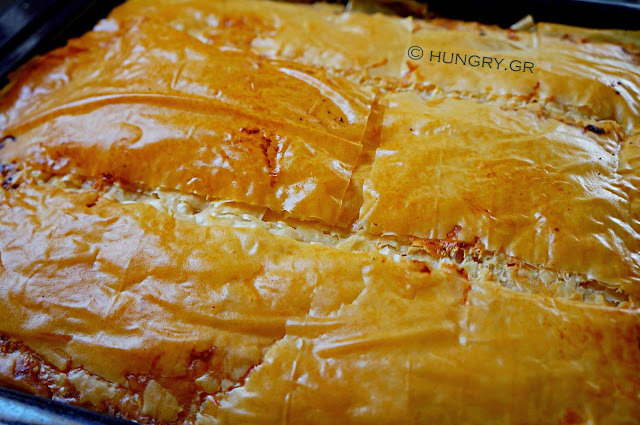 Allow 10 minutes to cool slightly. Eaten warm.